Happiness is yet another in a long line of films with 'happiness' in the title that is not all that joyful. Its suggestion that your happiest memory and your most painful one is only a twist of a knob or a press of a button away is the film's guiding principle and ultimately a strong case is made for that being true. Masatoshi Nagase strands himself in a small town, letting himself off the bus with a metal box as his only luggage. It's not long before the contents are revealed: a magnificent helmet that he straps to the head of an elderly shop owner who's letting her store become rundown like her will to live. So melancholic, she doesn't object to him placing the helmet on her. He presses in some of the buttons here and there, twisting a select few like dials. The tops of the buttons display the symbols and characters of a keyboard making the helmet like a cranial typewriter - an idea the film revisits more fully in its second half. With a decisive final tap the elderly woman is given a surge of memory to a time between her mother and herself as a child. It was the most joyful time of her life she had forgotten, the reliving of it now having completely uplifted her spirit. The memories that the helmet brings back are shown as first person POVs of the wearer. At first this is a tool used to immediately connect us with each of the townspeople as they receive Nagase's "treatment." What the technique truly does is trap the viewer. In a sense these are invasions; there are some memories we don't want to see yet they keep recurring. The first person POV is also a recreation of the helmet wearer's subjective visualization of a moment which is the type of truth Nagase seeks from a specific resident of the two, his main reason for being there. From his icy, non-talkative demeanor we deduce he's not there to bring happiness to the population of the area; that is just the byproduct of his revenge. Again the idea of the instability of separation between opposites: good vs. bad memories, philanthropy vs. vengeance. Before the revenge half of the film begins SABU treats us to the town's gradual discovery, usage, and celebration of Nagase's invention. He goes through the bureaucratic ringer and one by one a town official puts it on. It is here where we are lulled into the comfort of joyful viewing. When his helmet gets snatched by a group of young punks Nagase tracks them down and savagely beats them for it back. SABU protracts the scene with slowed visuals. It signals the importance of the helmet and that it is not originally meant to cure the melancholy but is Nagase's sole weapon to attain a justice that is ultimately empty. Happiness is also yet another film whose plot revolves around a mechanism that affects the memory of the user. But unlike Taiwan's The Village of No Return SABU's take is much more cerebral. It is less showy and much more grounded than Eternal Sunshine. The accumulation of memory, otherwise known as living, either introduces episodes from the past which will continue to haunt or merely create an infinitely expanding distance from any happiness felt. Most of the memories we are allowed access to in the film are in relation to others in the helmet wearer's past. Without the helmet Nagase knows what has been lost hence the destructive sojourn. 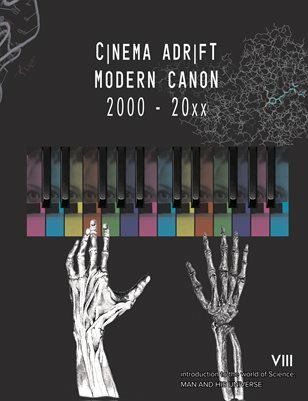 Jason Suzuki is co-editor of Cinema Adrift.